Is this Port Elizabeth Church SA’s ‘Sistine Chapel’? A small church in Port Elizabeth may come the closest South Africa has to the famous Sistine Chapel, thanks to the art of a remarkable priest, as Fr SEAN COLLINS CSsR explains. Those who visit St Rita’s are always be fascinated by and caught up in the array of bright colour murals and extraordinary devotional decorations throughout the church, from end to end. These artworks are testimony to the ingenuity and zeal of a very talented and devoted former pastor of this parish, Fr Jeff Goodwin. Remarkably, Fr Godwin never had any formal training in art. Fr Jeff Goodwin, whose art adorns the walls of St Rita’s church in Bethelsdorp, Port Elizabeth. The priest died in 1987 at only 56. Not much is documented about Fr Geoffrey Hastings Goodwin, who would have turned 85 on August 2. Born in Blantyre, Malawi, of enterprising Church of England parents who eventually settled in Port Alfred, Geoffrey was schooled at St George’s in Salisbury (now Harare). He trained as a bank clerk, and also did farming in Marandellas, where he befriended the renowned botanical artist Lady Tredgold, a devout Catholic. “I put off entering the Church, and drew back from the brink several times,” he once recalled. Having converted to Catholicism, he eventually entered St John Vianney Seminary in Pretoria and was ordained in Grahamstown on July 7, 1968. 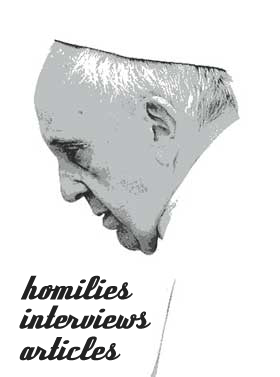 A very private, gentle person, he practised poverty, wearing a simple white cassock and plain sandals. He shaved his head but allowed his beard to grown unhindered. Living an ascetic life, Fr Goodwin was wittily dubbed “The Catholic Ayatollah”—the priest quipped he wasn’t sure if it was for his long beard or for his own Catholic conservatism. He hitched to visit his family living at Port Alfred and often in fine weather swam to the islands in the bay. One time a visiting priest was invited to take a swim with him, and found to his chagrin on their return that their lunch was just a boiled egg. There was nothing else in the larder other than boiled eggs which were Fr Goodwin’s meals for the week. Before he came to Bethelsdorp he served in Bedford, King Williams Town and St James. He had already begun his artistic endeavours: the St James jubilee booklet says that his stone creations adorn the front of the presbytery. The church of St Rita’s was originally a house generously donated by its owner, Mrs Foorlee, for a Mass centre. It was opened by Bishop James Colbert of Port Elizabeth in 1948, with Mass offered there twice a month. From 1968 the Group Areas Act saw a huge influx of people to the Northern Areas, dispossessed of their previous homes in Fairview and other parts of Port Elizabeth. Soon a thousand Catholics were coming to Mass in those parts, and St Rita’s became a parish, among others in the Northern Areas. Several priests enlarged the “house church” to accommodate growing congregations, and so it assumed an incongruous size and form, one that was not very uplifting for the spirit. When he was assigned to St Rita’s by Bishop John Murphy in 1979, Fr Goodwin sought to improve the church’s appearance. While living in radical poverty in the cramped space precariously attached to the church, Fr Goodwin lavished the house of God with every uplifting hue of colour and grandeur as was within his means to do, beginning with a paintbrush, but also using scissors, glue, blow torch, and carpet needles and thread. He completed all the four walls of the church and even some of the ceiling with embellishments of gospel scenes, angels, saints, and the sacraments—dimly set onto the windows—before the Lord took him to his eternal reward in November 1987, aged 56. While the ever-growing parish has transferred to a bigger church—St Joseph the Worker in Chatty—St Rita’s hosts the Saturday evening Mass—and the congregants’ eyes will always fall on the treasure of holy artwork to remind them of the things of heaven. Those who behold his art might beg to differ. He gave many of his creations away. Two icon-like paintings were donated after Fr Goodwin’s death to the Port Elizabeth diocesan archives. They are sacramental, biblical and theological in content. His paintings—Pantocrator icons with accompanying biblical messages—were a way of teaching the people through reflection on the symbols they represented.